The astounding power of the AF-S NIKKOR 600mm f/4G ED VR lets you capture subjects from incredible distances. If your passion is delivering amazing glimpses into worlds typically unseen from normal vantage points, you cannot explore the natural splendor of wildlife or deliver the riveting thrill of action sports without the high-performance, professional-grade AF-S NIKKOR 600mm f/4G ED VR. 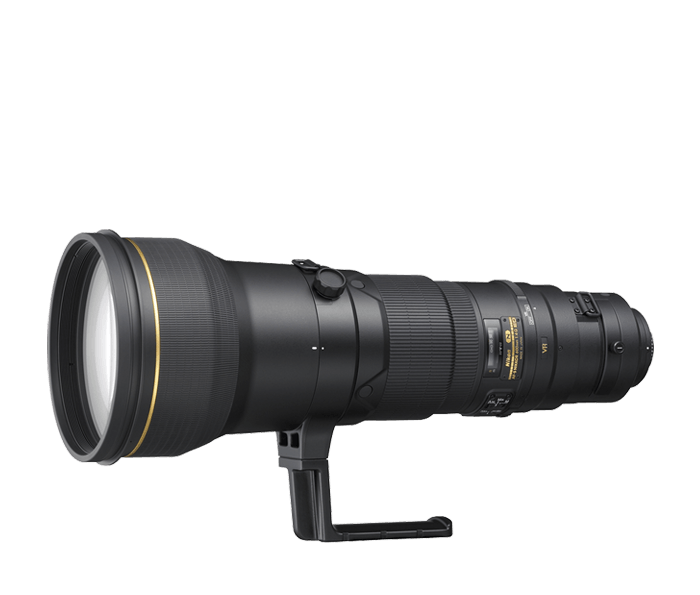 The high-speed, high-performance AF-S NIKKOR 600mm f/4G ED VR produces images with exceptional sharpness, contrast and color thanks to advanced Nikon lens technolgies and renowned NIKKOR optics. Vibration Reduction (VR II) image stabilization assures dramatically sharper still images and video capture. Silent Wave Motor (SWM) enables ultra-fast, ultra-quiet autofocus with seamless manual focus override. Nano Crystal Coat (N) and Extra-low Dispersion (ED) glass delivers superior color, sharpness and contrast, even in challenging shooting situations. For those seeking the ultimate long-reach performance the AF-S NIKKOR 600m f/4G ED VR answers the call.